Ten years later, they’re still riding in the REV. “We’ve only missed a couple years. One when we lived abroad and once we had a conflict.” Their kids, Parker and Addison, ride too. 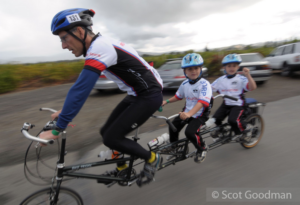 One year the twins rode a three-seater bike with Manning. And more recently, their kids’ friends have started joining them for the ride. 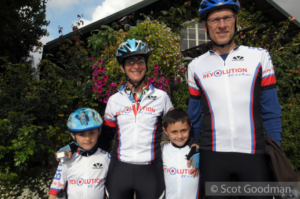 When they first started riding and fundraising for the REV, both Manning and Hilary worked for companies that provided matching donations and they drummed up support at their workplaces to double their impact. 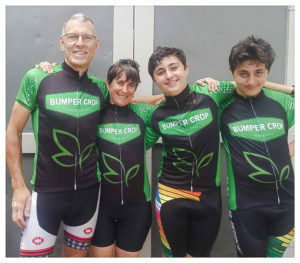 Today, they match the funds donated to their team, the Berkeley Bumper Crop, each year. Click here for more information about the 2017 Revolution Ride & Festival, to register to ride, or to make a donation. The Jr Road Warriors traveled to Phoenix for a wheelchair basketball tournament on December 10. 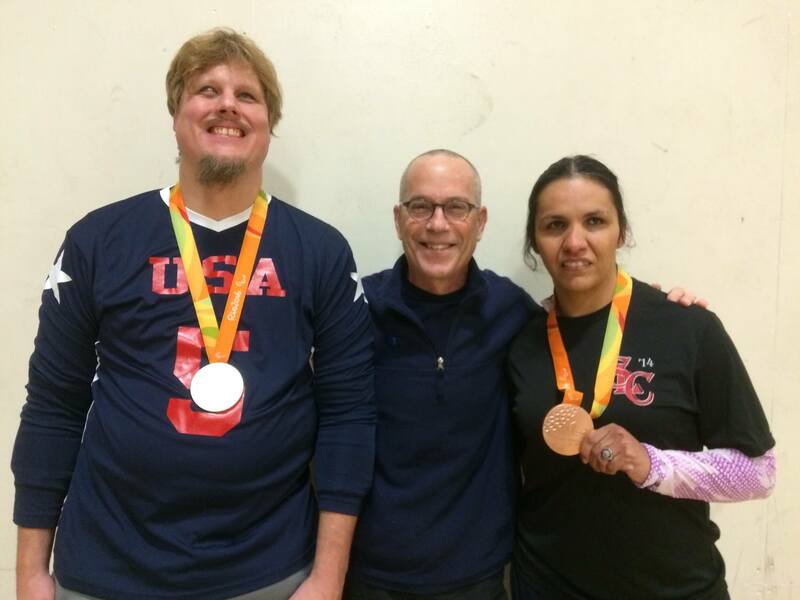 Garnett Silver-Hall took over BORP’s Instagram feed and reported live from the event. Hi everyone my name’s Garnett you can follow me @garnett_gwheel. This weekend I will be doing an Instagram takeover of the BORP account to cover the @jr_road_warriors Wheelchair Basketball tournament in Phoenix, Arizona. More coverage coming soon! Congrats on a great tournament, Jr. Road Warriors! Donate your Vehicle to BORP! Did you know that you can donate your car, truck RV or boat to BORP? You vehicle donation is tax deductible and so, with the end of the year approaching, it’s the perfect time! We are pleased to partner with Car Donation Services, Inc. to accept donations and CDS will pick up your vehicle at no charge to you! Please be sure that you are on the the unique BORP (Bay Area Outreach & Recreation Program) donation page on the Car Donation Services website in order for us to receive the proceeds from the sale of your vehicle. 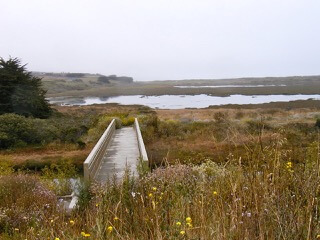 View from Bird Walk trail: Tall brown grass with yellow flowers in front of a wooden bridge leading to the saltwater marsh, a pond, and the the foggy coast in the distance. Photo courtesy of Bonnie Lewkowicz. Bird Walk is a mile-long loop trail through a revitalized 14-acre saltwater marsh at the mouth of the Cheney Creek, where it empties into Bodega Harbor and Bodega Bay. This is one of Sonoma County’s prime spots for bird watching: here and in the neighboring pond, dunes, mudflats, and grasslands, you may see snowy egrets, northern harriers, northern pintails and marbled godwits to name a few. During a recent hike, the coast was blanketed in a thick fog that muted the colors of the marsh and enhanced the colors of the birds, making them easier to spot. The firmly packed dirt and gravel loop trail runs atop a levee circling two dredge disposal ponds. From the parking lot off Highway One, take the switchback asphalt ramp to reach the loop trail, which sits some 25 feet above the top of a levee. If you choose to circle clockwise around the loop, you’ll first pass a pumping station–it’s unobtrusive, and you’ll likely be more focused on the vistas of Doran Park Marsh and Bodega Bay to the west. Within a few hundred feet you come to two spur trails; one travels down a gentle slope to a bridge that crosses Cheney Creek, where you can connect to the Doran Marsh Trail in Doran Regional Park and extend your trop another .4 miles. The other, a hard-packed first trail that bisects the loop, is a quite bumpy and doesn’t have the best views. Continue along the loop, stopping at strategically placed benches to enjoy the views and birdsong. First me, what started as a serene stroll quickly turned into a challenge to see how many difference birds I could identify. Sonoma County Parks – 355 Highway One, Bodega Bay, (707) 875-3540. Click here for more information. Open sunrise to sunset. No restrooms available: accessible public restrooms are at Doran Park and the Tides Wharf & Restaurant. Visit Access Northern California for more info on accessible trails and other adventures in Northern California. You can help kids like April find their community by donating to the BORP Revolution Ride today. 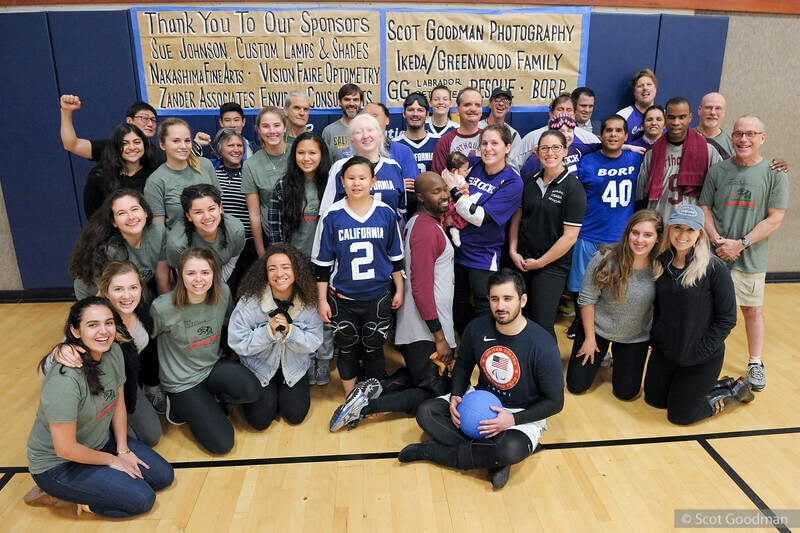 The Revolution is BORP’s largest annual fundraiser — all gifts, no matter the size, will have a direct impact on the lives of people with physical disabilities in the Bay Area. 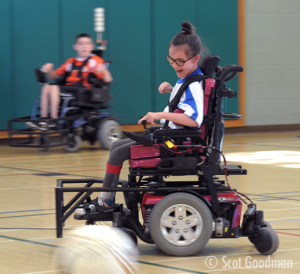 BORP’s youngest Power Soccer player, April Cookston, was recently featured in an article appearing in the East Bay Times. April joined the Bombers after moving to Oakland with her family. But when April showed up to the gym to watch power soccer for the first time, what she really found was a family. “April Cookston remembers the days she sat watching in her wheelchair as her brothers played soccer, longing to scamper in the grass with them. But she was confined to the sidelines. 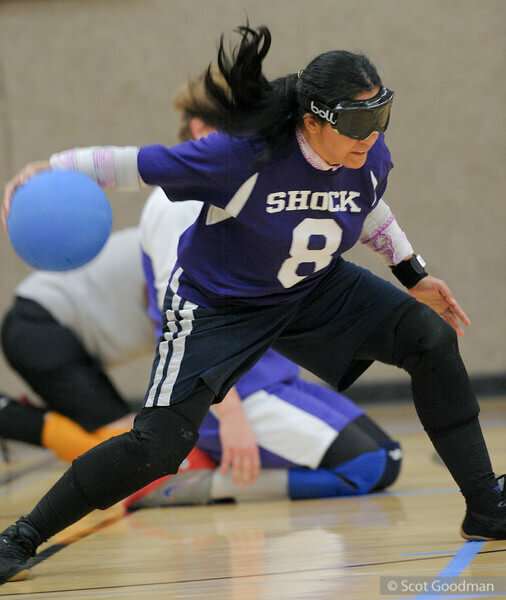 It’s hard to imagine BORP Power Soccer without April on the team. April is developing skills and gaining confidence that she will carry with her throughout her life. And her power soccer team has become like a family to April. This article appeared in the East Bay Times as part of the Share the Spirit Campaign, sponsored by Bay Area News Group. We would like to thank the Bay Area News Group for their support of BORP’s adaptive sports and recreation programs and for sharing this story with their readers.